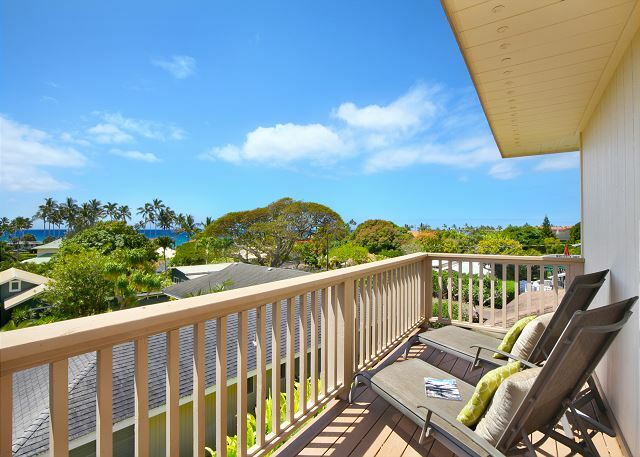 Poipu BEACH steps from your door!! Sleep 7+ BEST DEAL in POIPU ** WOW CALL! 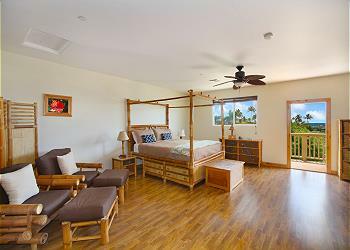 This 3000 square foot suite is half of the Pane Makai Beach House duplex. With 3 bedrooms, the Turtle Suite can easily accommodate 7 adults with two living areas, a kitchen that seats 12 and an enclosed garage. Wonderful family vacation. The house was very comfortable for the 7 of us. It could have easily held several more people. The kitchen had all the amenities for cooking and the beds were very comfortable. The children enjoyed watching some movies and playing with toys upstairs after a long day at the beach. The house is located at the end of a quiet neighborhood with views of the ocean off the balcony. The hose outside was great for washing off sand and the garage was nice for hanging snorkel equipment to dry. Big beach towels were provided which was nice. We walked several times to the pool and tennis courts which was about 1/2 mile away. The sunrise and sunset walks along the beach were amazing. We saw sea turtles and monk seals on the beach every day. The kids enjoyed catching critters in the tide pools. An overall exceptional house and vacation. We hope to come back again some day. Very comfortable, clean and well stocked. 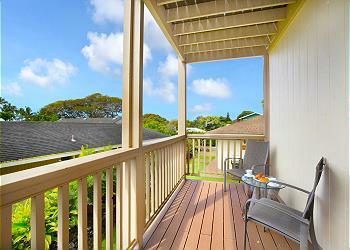 With a great view and walking proximity to Poipu Beach, one could hardly ask for more here. The decor was spot on, place was super clean, and we simply loved being there! 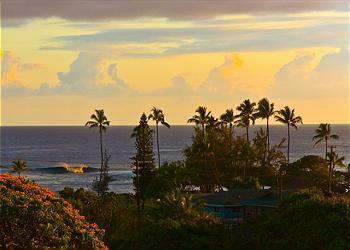 This was our second stay at the Pane Makai and it was just a fantastic as the first visit. You can not go wrong by staying here. The response time to any possible issues should they arise is great. Everything you could need is supplied including beach toys, chairs and boogie boards. We really enjoyed our time at the turtle suite. 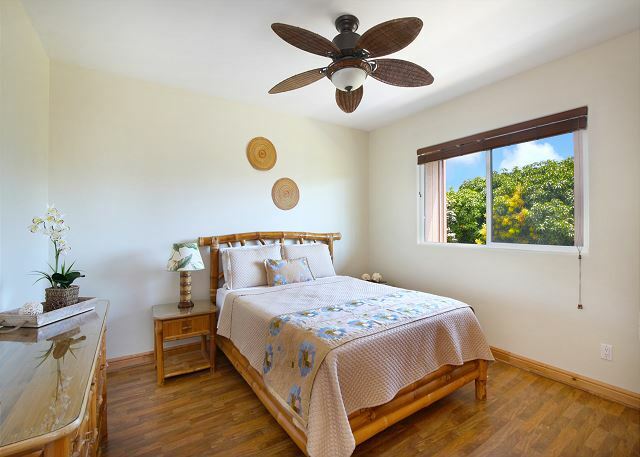 We found it comfortable and convenient and especially liked being able to walk to the nearby beaches. 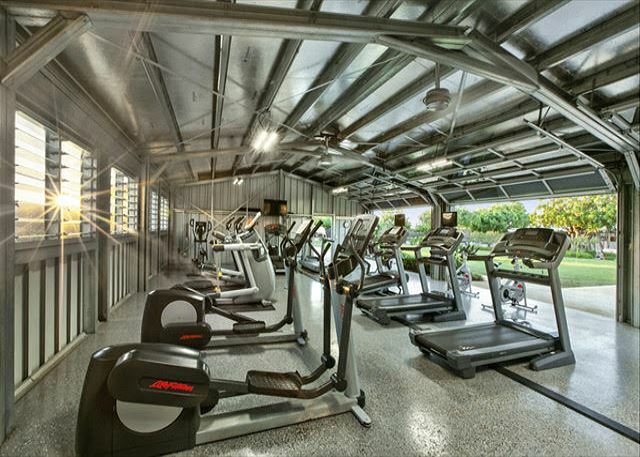 Access to the fitness club nearby with a pool and hot tub were also nice. We all thoroughly enjoyed our stay at the Turrle. Arranging our vacation was easy and pleasant. Overall, very highly satisfied. The location very close to the beach is excellent. Very convenient to a lot,of,great restaurants and shops. Exactly as expected. we had a very nice vacation rental. the condo is clearly a rental with no personal items. there was only a boogie board and an umbrella for the beach. our concerns were addressed promptly by the management company. The property was as described and worked well for our family. Kitchen was well stocked. Small problems were worked out immediately. All was beyond our expectations. Wonderful Beach House!!! Great vacation with family. Would definitely stay there again!!! We had a glorious time at the Turtle house. Luxurious and spacious enough to host a family reunion. Beach at the end of the block where we saw turtles and monk seals along with the fish easily spotted in the shallow waters. Peace of mind from the lifeguards posted there. Shade offered by the trees at the beach, picnic tables and restroom there. Great house , close to the beach, food and shopping. Kauai exclusive staff were super helpful. This place by far exceeded all of my expectations. The photos on the site barely touch the surface as to how amazing this place is. It is only 300ft from one of the best beaches in the world. Rental was huge and spacious with every possible amenity one could need. Very clean and well kept. The property manager was also above and beyond in terms of service. They reached out a week ahead of time with a complimentary concierge service offing tours and activities. No doubt , the location is great! The house sits on the top of the hill, so it has a nice view from top balcony. 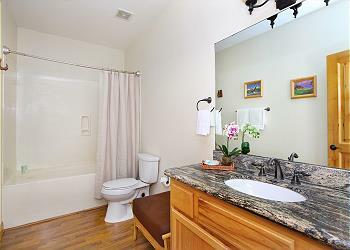 It is a very nice place, was clean except one small problem that was fixed immediately . We found a box of chocolate the next day, which was a nice touch. We will definitively be back , beds were good, and there is all you need to cook and entertain. Beach chairs, surfboard etc, all is there which is nice. The Pane Makai Beach House has a great location for Poipu, and each 'half' of the house sleeps a lot more people than we thought; we only had 4 people in each half and could have easily stayed in one half. There is a strange layout; the upstairs has no real doors and the spacious Master has no closet; but a GIANT utility/laundry room. There isn't much of view except off of the narrow balcony on the master, but the house is well equipped and easy to cook in. Loved how close the beach was. Wood floors made the sand easy to clean up. Great layout for our family. We had 7 adults and a toddler and the turtle suite was perfect! Close to the water and restaurants so everyone could go at their own pace and enjoy Poipu. Loved it!! 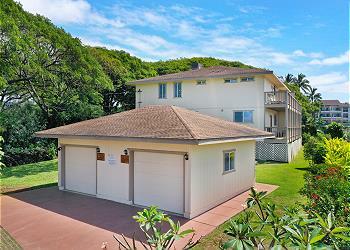 Very spacious house located about 100 yards from a world class beach. We enjoyed family time with our 3 children and grand daughter and would love to come back again! Overall our stay was very pleasant and the location was perfect for Poipu. The perfect condo with an ideal location. A/C was a huge plus on some of the more humid days. Overall a great rental. From beginning to end this vacation was by far one of the best we've experienced. I feel fortunate that the Pane Makai "Turtle Suite" Beach House was available for our dates and was very pleased with the courtesy, knowledge and professional staff at Kauai Exclusive Mgmt. The house was exactly as stated, very large and spacious. We enjoyed both lounging areas and the two decks. In the mornings we would stroll to the beach just a short walk away. Each day we saw a different monk seal enjoying the beach as well. In the evenings we could hear the ocean from the upper deck and enjoy the sunsets,great photo op as well. The generous kitchen and laundry room supplies were greatly appreciated. We stayed a week and required a small amount of clothing thanks to the washer & dryer and large laundry room. 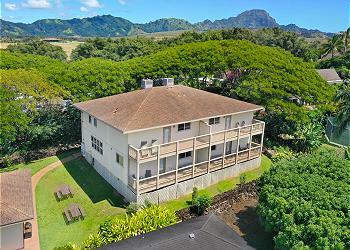 This was our first time to Kauai and I believe the location of this property was perfect. We were able to enjoy several day trip excursions all over the island and then drive back to be "home" by dinner time. We fell in love with Kauai, it's beauty is breathtaking. As for packing tips, I would recommend packing a cloth foldable hat with a wide brim and neck strap, I wore my hat everyday either to keep the sun off my face or the raindrops off my glasses. 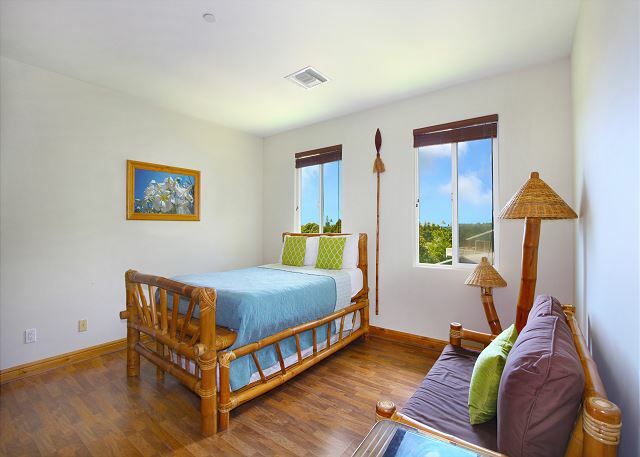 Now that we have discovered Kauai, our family looks forward to many trips back to the Turtle Suite! Overall had a wonderful time in Poipu at he Turtle Suite. The unit is a the end of a dead end road within walking distance to one of the best beaches on the island. Plenty of room for a large party. I would recommend this unit to a friend. We stayed for 10 nights. 8 adults ( 3 couples plus 2 teenagers). This was a great place. Nice kitchen. We walked to the beach. Well kept. Everyone was very professional. I would rent this place again in a heart beat. The Turtle at Pane Makai Beach House rocks! 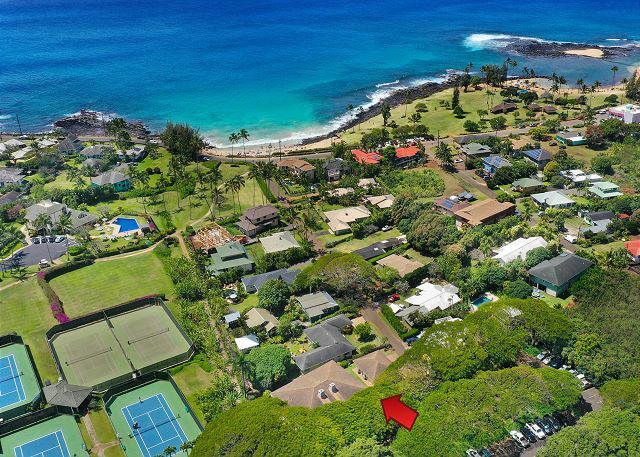 Only one block from one of the best beaches on the planet, the Turtle side of the Pane Makai house (it's a duplex) is perfect for families with ample space, killer ocean views and a big yard. It would be also be ideal for 2 small families vacationing together as the upstairs and downstairs are like two different apartments (though only the downstairs has a kitchen). Family reunion? You could rent the whole house and fit at least 16. The property management folks were super helpful. The Dolphin side of the house is noisier as it's closer to a sports bar, but we barely heard any noise on the Turtle side. This is the perfect house if you want privacy, space and just a quick walk to a lovely beach that offers something for everyone: kids and adults alike. We were a fairly large group: 6 adults, 2 infants, and 1 three year old child. We all had an incredible trip, and the property was perfect for us. The proximity to the beach enabled us to easily make visits twice a day (no small task getting children ready to go anywhere! ), where both children were delighted to play in the sand, swim in the water and play at the park. The variety of swimming conditions also gave the adults a lot to do. The rental unit was really well equipped and very clean---if felt like we were at home in Hawaii. I couldn't recommend this place more. We will likely use it again if we ever go back to Poipu! Large spotless property close to beach! 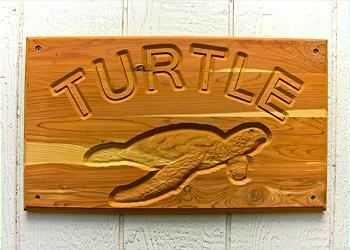 We enjoyed the Turtle Suite very much and its close proximity to beaches, walking paths, and restaurants. The place was really clean and the availability of beach chairs,swim equipment, and cooler was great! The gentlemen at KEManagement LLC were efficient and helpful. Would recommend this property to others for sure! 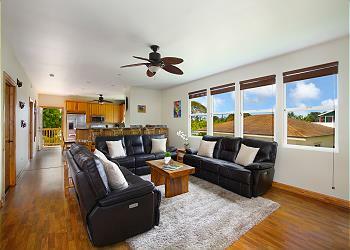 THE PANE MAKAI "HOUSE" WAS VERY SPACIOUS AND COMFORTABLE.I WOULD RECCOMEND THIS VACATION HOME TO ANYONE! 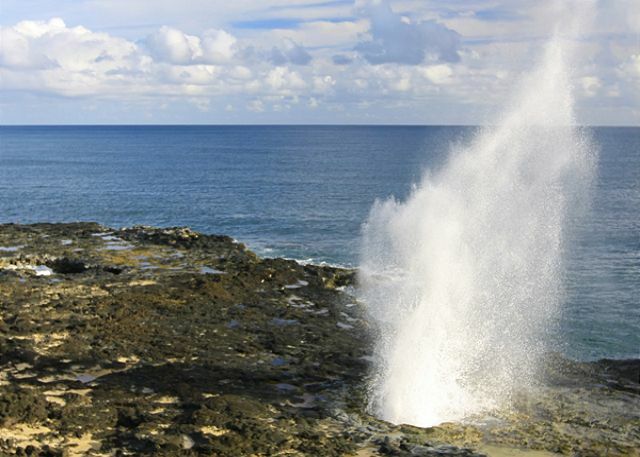 A SHORT WALK TO POIPU BEACH AND WALKING DISTANCE TO TWO RESTURANTS.WE WILL RETURN TO KAUAI AND THE PANE MAKAI. Plenty of room, very nicely decorated, and many extras in this very nice rental. Great house would book there again for sure. Once in a Lifetime family trip to celebrate Grandma's 65th birthday, Grandson's 10th birthday & friends 34th birthday & Valentines Day! Poipu Beach was walking distance (Child friendly). There was a very nice beach off a dirt road near the Hyatt and next to The Beach House (which was child friendly). This is the place to stay!! 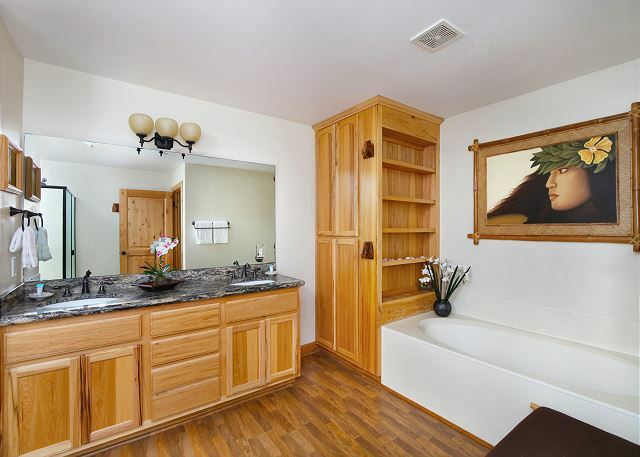 The Turtle or Dolphin suite is the place to stay in Poipu. One block to great body surfing, swimming and snorkeling. The house was clean, well-equipped, in great condition and well furnished. Josh and Patrick - the property managers were responsive and extremely helpful. A restaurant is within walking distance in case you don't feel like cooking. This place has everything you need for a great, relaxing holiday. I highly recommend it - you won't be disappointed! The accomodations were excellent-enough space for everyone-Location, location, location!! We will be back and I will send you more customers!! 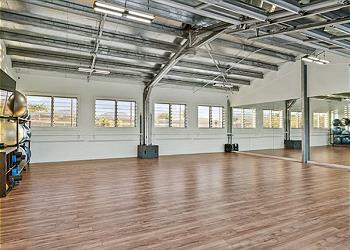 Great location, spacious and new! Appreciated the great location - minutes to the beach, the vast living space, and the immaculate condition of this new property. Fantastic. Everything is top notch. The only thing the house needs is a wardrobe upstairs to hang clothes in. That is a very easy fix and is no way a reason to not stay here. Most house in Kauai do not have AC and this house does.